Michael Vale, (Time passes slowly) Up here in the mountains, 2018, oil on linen, 122 x 97 cm. Michael Vale, The package, 2018, oil on linen, 122 x 92 cm. 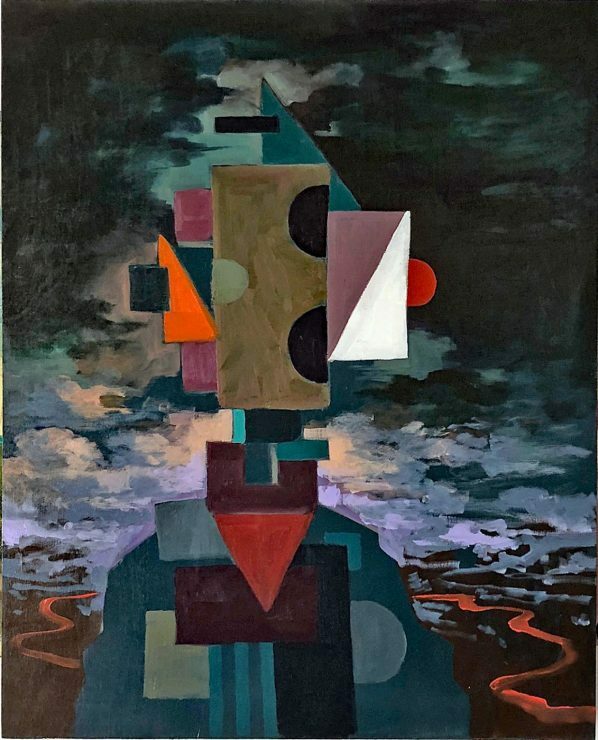 Michael Vale, Time Traveller Suite I, 2016, oil on board, 50 x 40 cm. Michael Vale knows a lot of people find his paintings dark. He’s not surprised, given the prevalence of skulls, skeletons, ghosts and even more frightening – clowns. But Vale insists the grimness is not unsmiling. “I find it hard to be too serious. I’m serious about painting but not necessarily about the content – when it comes to the content, I like to have a bit of fun,” he says. 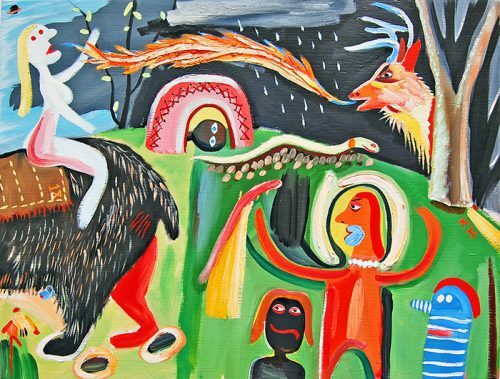 The Melbourne-based painter’s new exhibition at Despard Gallery in Hobart, Time Traveller, features characters and elements that are peculiar yet oddly familiar. 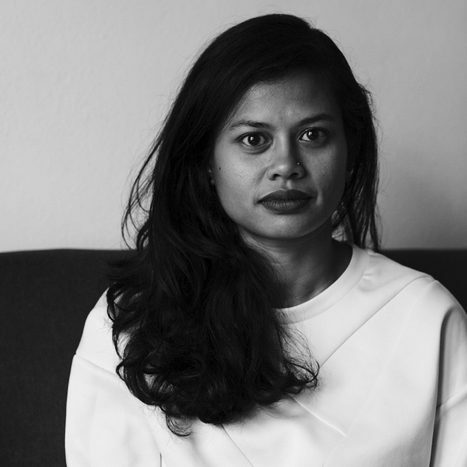 Vale, who has worked in film and television, cites cinema, (particularly Chris Marker’s 1962 La Jetée, and horror films), as a major influence. Vale says the exhibition title is a play on the art of painting. For the artist, painting is a continuum that is timeless, regardless of style. He describes his process and practice as a “flirtation” with historical styles, borrowing from the past to create something that’s neither present nor future, but a surreal alternative. “In my lexicon that’s a form of time travelling,” Vale says. 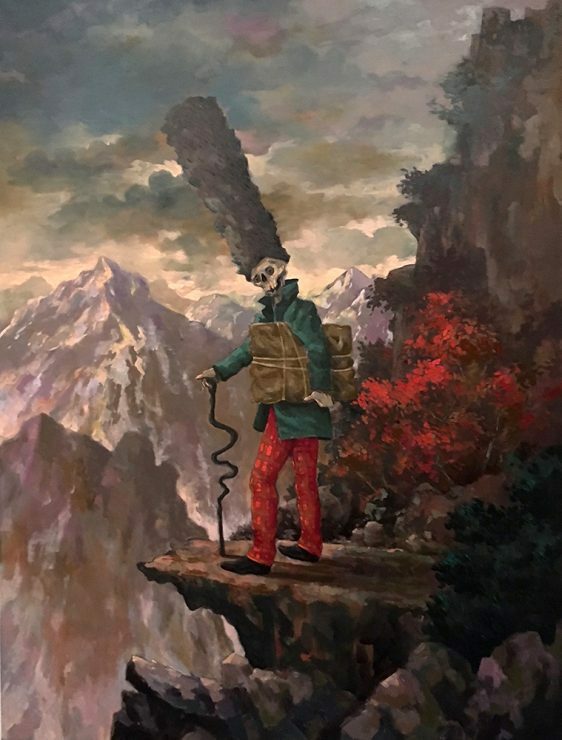 In The Package, 2018 – one of Vale’s recent paintings in the exhibition – a skeleton carries a brown rectangular parcel along a cliff set amidst majestic snow-capped mountains. The setting here is reminiscent of Romantic landscape paintings from the 18th and 19th centuries – though in the score of the epic setting, there is a distinct off-note. Vale spends a considerable amount of time thinking about the setting for his figures and characters. 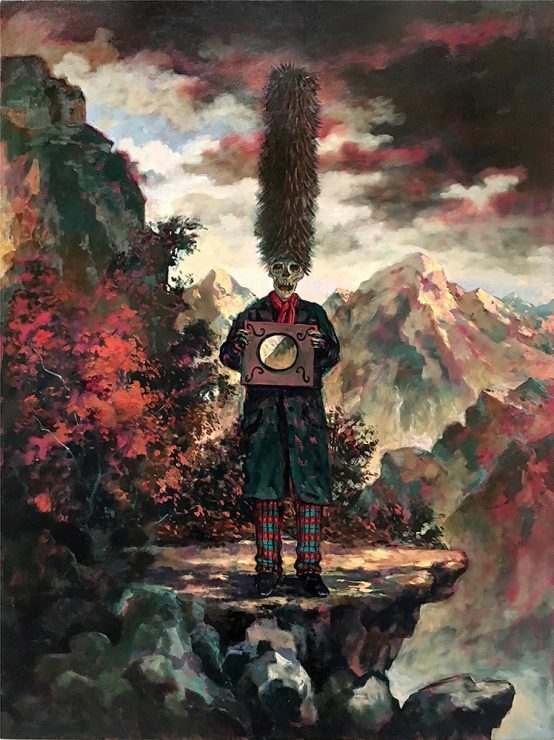 “It provides an absurdist context for the figures, and I bring an element of abstraction into it as well, mixing it all up into a kind of brew,” he says. This article was originally published in the March/April 2019 print edition of Art Guide Australia. Every two years, since 1988, the Melbourne Art Fair has been a major event on the Australian arts calendar. But in 2016 the Fair was unceremoniously cancelled just six months before it was due to open. 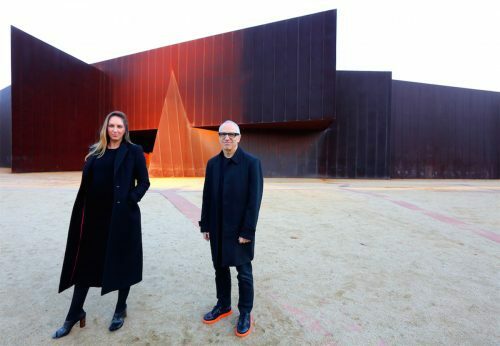 Now the Melbourne Art Fair is back with a new venue, new director and new vision for the future. 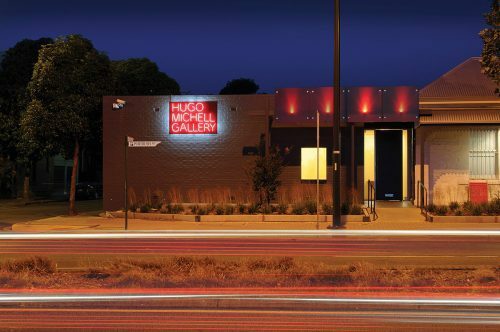 Hugo Michell opened his eponymous gallery in Adelaide at a hazardous time – it was late in 2008, and the GFC was in full effect.